We at The Bemrose School and Sixth Form give our students throughout their Primary, Secondary and Sixth Form education the access to free impartial careers information and guidance, with the opportunity to complete compulsory work experience placements to enable our students to gain experience of the world of work and employability expectations. 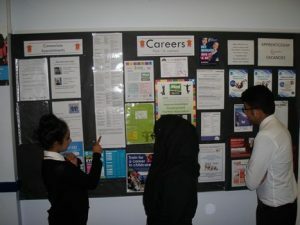 Careers sessions are delivered throughout their education with us from Year 7-13 with the Primary School having access to Employer Encounters and a Careers and Aspirations Programme. 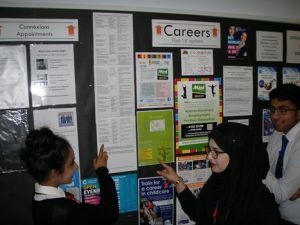 Meaningful activities are created throughout each term, including visits to Post 16 and 18 providers , Enterprise Days, Mock Interviews, CV Workshops, Cultural Visits and Employee Encounters. Each student throughout their education journey at The Bemrose School will receive 1:1 careers interviews by our in-house Careers Lead Claire Pavitt or Connexions PA Julie Chandler. 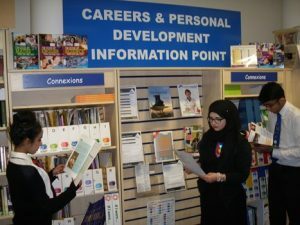 Incorporated within the careers programme is engagement with an extensive range of businesses and local employers, working together with employers enables us to stay updated with the labour market, in addition to providing students the chance to experience high quality enterprise activities and employability skills. We are fortunate to be within the ‘Adopt a School’ programme and are pleased to have Kevin Dodds from G F Tomlinson as our Enterprise Advisor.